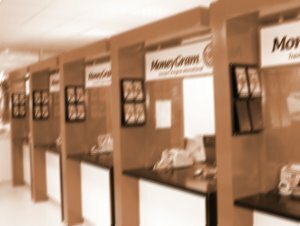 Note; we discovered that some internet hackers (Fraudsters) are accessing our e-mail account trying to hack your funds from our system, so we have concluded to effect your payments through Money Gram International Transfer. They will be sending $3000 to you daily until your $100,000.00 is completely transferred to you accordingly. The only money you are to pay to them is $35 so as to enable them purchase and update your transfer files to prevent any illegal transfer of your funds or any form of hindrance in receiving your funds. This is the only fee you are asked to pay in this regards. So know it, there will be no any other money you will be demand to send. 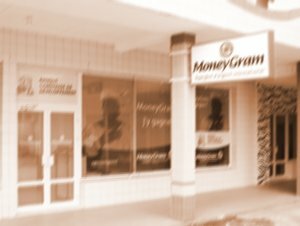 We shall obtain the Tax clearance certificates and finalize the process of your daily transfer and then authorize the appointed Money Gram Office to effect your payments today as soon as you send the fee to them. Please fill in the below transfer form and forward to them which will enable on the transfer. Here is there contact address. Below is the information which you can use to send the required fee through Western Union or Money Gram any of the office that is close to you. Text Question. . .How Much? After you send the fee to this information, you should send the payment information's to them together with the transfer form giving to you above. Immediately they re-new your payment files, you will start receiving your payments daily as stated above. Here are details of your first payment of $3000 USD made on your behalf but it has no receiver's name yet until you remit the $35 USD required to them before they can re-new and update the transfer files on your name and put your name as the receiver. Note that within 48hrs if you do not remit the required $35 USD the transfer will be retrieve back and remember that the money details given to you does not bear your name as the receiver yet until you make the payment of the $35 USD.